Eight years ago, today, police officers rang the doorbell in the mid-afternoon. There were two squad cars in front of the house, and two police officers were requesting to come inside to talk to me. Demanding proper identification, I soon realized they were legit. They asked no questions, but proceeded with the statement that they had heard from the DeLand, Florida police that morning. That sentence was never finished. My son, Matthew, was a senior at a college in that small Florida town, and I suddenly knew why I was entertaining two very respectful police officers in our living room. Within a couple of seconds, I went through the initial thought that Matthew was in trouble, but I knew that he had never been in trouble of any kind, and why would the local police be at my door if my 21 year old son had been arrested in another state? No, I knew almost immediately that the little guy had finally done it. I knew within those two or three seconds that Matthew had succeeded in killing himself. My son had left us on Sunday, October 26, 2003. He had hung himself with an Ethernet cable in his dormitory room. His roommate had been at his girlfriend’s apartment all that night, and Matthew’s body was not found until Monday morning when the kid returned to get ready for classes. 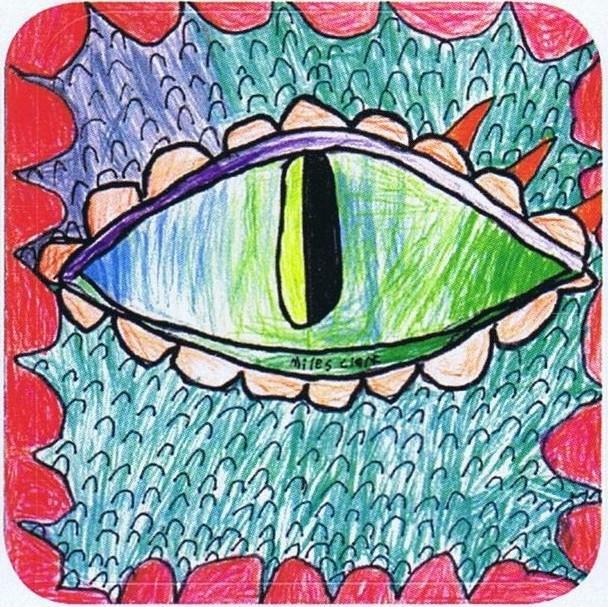 That is when the school administration was called, and when the local police got involved. Matthew had been clinically depressed since high school, and only recently had stopped his medication. He was “tired of being sick”, and he didn’t like who he was. He was gay, and this undoubtedly played a part in his self-deprecation. He had at least one attempt at suicide while in high school, and we were in constant fear of a repeat attempt. On our kitchen wall was a white board where Matthew had left us a message the previous month as he was leaving for school. He had written early that morning before we were awake, “take care of each other”. 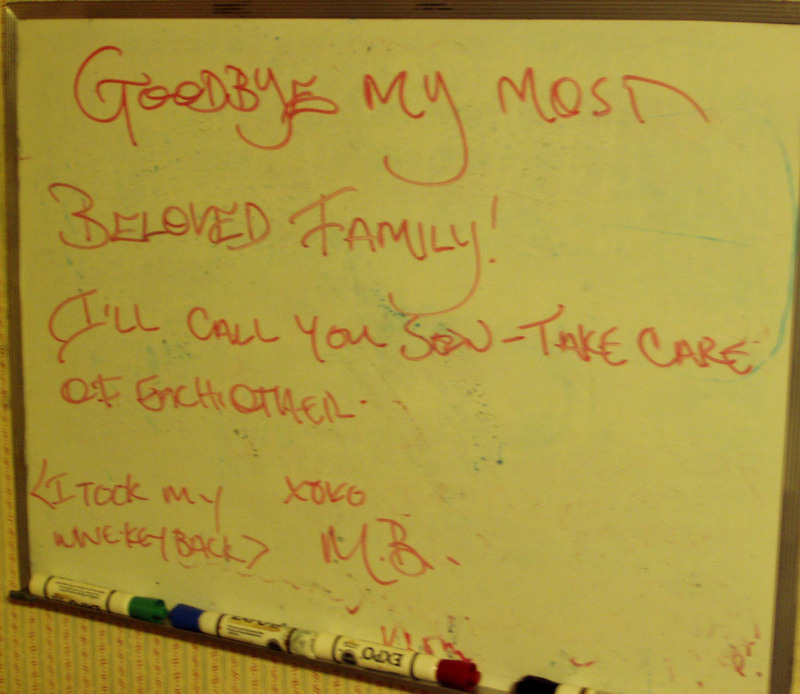 We still have that white board as it was his last written message for his family. Clearly he was planning suicide. We had looked at his message, and lied to ourselves that he really didn’t mean it. My wife, daughter, and I have gone through all the stages of grieving, but I got stuck in the anger stage for years. I might still be in anger. The hurt and guilt will always be there, too. We withdrew from life for a while, and we have argued with God. How can God create a wonderful, talented and smart person, fashion him into a homosexual, and then advocate prohibitions against the very activity and person He has created? This is one question I plan on asking when it is my turn. Life goes on. Living is a tough thing, but we still have to go through it. My life is getting better, and I had forgotten that today was “the day” until my wife reminded me this morning. All the same, you never fully heal when you lose someone you love. Dave, I appreciate your comments. You are correct, there are no words adequate to smooth the event, but I still have to talk about it, occasionally. I miss my son very much, but have not given up on God. He hasn't given up on me, either. Funny how that works.Thanks for your prayers. They are meaningful.I look forward to your remarks at Geeez. I am so sorry for your indescribable loss my friend..Bless you. Bob, no words can ever express my sorrow for your family. No parent should ever have to bury their child. I am truly sorry for your tragic and painful loss. My heart goes out to you Bob. Being a father myself, i can understand how painful the loss of your child can be.They may grow up and become adults, but they'll always be the precious little babies to us.People say it gets better with time, it doesn't really, you just learn to cope better i think.Hold on to the day when you will be reunited with your precious son.